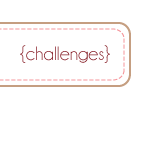 Robyn from My Pink Stamper asked her Design Team to participate in the MPS Color Challenge. The colors are Pink, Green & Black. This is what I entered for my submission in this challenge. I used the Create a Critter cartridge and the solid paper is PTI. I printed the saying w/ my printer on basic white cardstock. I then used the SU! celebration border punch (LOVE IT) and SU! designer paper for the flower. Your card is ADORABLE!!! I LOVE IT!!! Great job w/the challenge! LOVE your card...too stinkin cute!!! I want that cartridge soooooo badly!!! Congrats on being part of the MPS design team!!! This is PRECIOUS! I love it!!!!! Wow! I hadn't seen the inside. I love it! This little skunk is too CUTE...I guess that's why I made it too...great minds think a like! LOL. SOOO cute! Just love your card! I just posted mine for the challenge! How fun! Pam, I LOVE your card. The inside is as cute as the outside! Thank you so much for visiting my blog and leaving your comment. I am new at this blog thing, not a new crafter just the blog. It means a lot when you are geting started. My pictures aren't to hot, yet. What kind of camera do you use? I have a Canon PowerShot. I don't think it is doing justice to my cards. 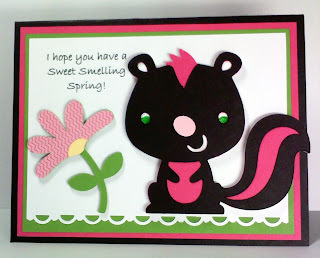 Ohhhhh i love your card, the skunk is so cute, thanks for leaving a comment on my blog. Pam - this card turned out soo cute! 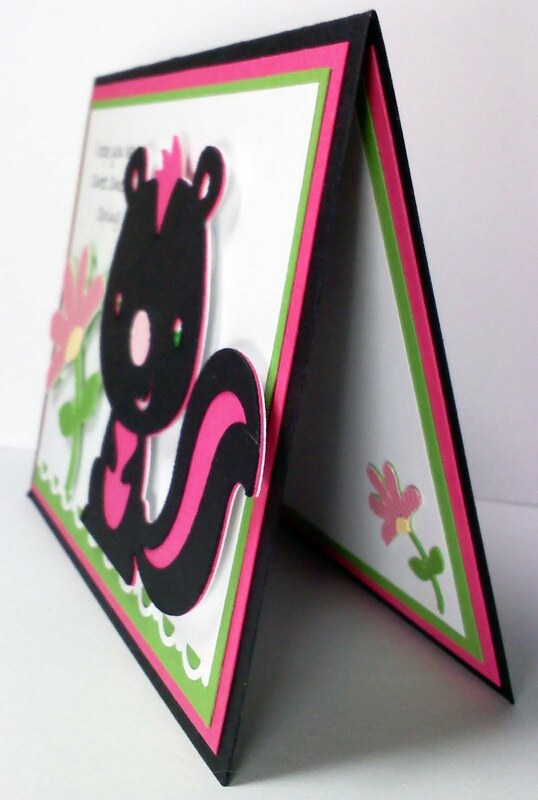 I love the skunk and how you decorated the inside of the card as as well. Thanks for leaving a comment on my blog! Thank you for the kind words on my new blog! Love this card, couldn't stop talking about it last night. Every Saturday night we have 'craft night' at a friends house and she saw your card and I did too and we both just LOVED it! Again, thank you so much. Take care! Congrats on being a Pinkie, Pam! I really like the card. I like that you also put something inside of the card that matched the front... I forget to do that but I like it so much. That provo craft cart is just too cute! I hope you have lots of fun with it and keep inspiring us with your creativity! So stinkin' cute!! Love the cards! Thank you for the sweet comments on my project...too kind! Ohhhh that is a stinkin cute card! Pam, this is such a fun card ... that little skunk is adorable ... just perfect for this challenge. I'm ready for the next one!! So cute! I love this cartridge and got a great deal on it at Michaels today just in case I do not win it. So cute Pam, love the sentiment too. Thanks for leaving a comment on my blog ! This little skunk is just too cute. Adorable card! Who knew a skunk could be so cute...thanks for the kind comments on my blog. I really appreciate it! You did an awesome job. I like the way you included the flower inside the card.